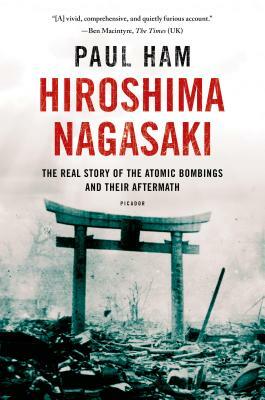 In this harrowing history of the Hiroshima and Nagasaki bombings, Paul Ham argues against the use of nuclear weapons, drawing on extensive research and hundreds of interviews to prove that the bombings had little impact on the eventual outcome of the Pacific War. In this gripping narrative, Ham demonstrates convincingly that misunderstandings and nationalist fury on both sides led to the use of the bombs. Ham also gives powerful witness to its destruction through the eyes of eighty survivors, from twelve-year-olds forced to work in war factories to wives and children who faced the holocaust alone. Hiroshima Nagasaki presents the grisly unadorned truth about the bombings, blurred for so long by postwar propaganda, and transforms our understanding of one of the defining events of the twentieth century. PAUL HAM is the author of the highly acclaimed Kokoda and the Australia correspondent of The Sunday Times of London. He was born and educated in Australia and lives in Sydney, having spent several years working in Britain as a journalist and publisher.